First Aid at Work Courses - 1 or 3 Days? - The Training Co. First Aid at Work Courses - 1 or 3 Days? 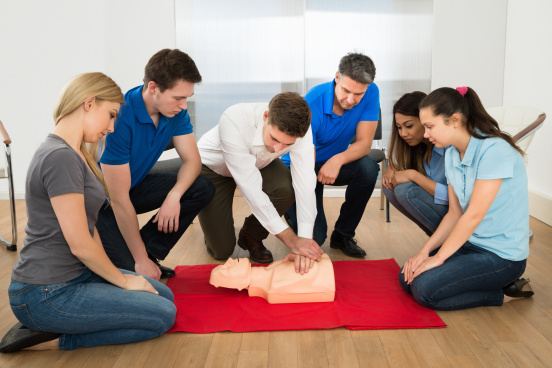 - The Training Co.
First Aid at Work Courses – 1 or 3 Days? So the boss has elected you to organise First Aid at Work Training for the office, congratulations on the new responsibility! But where do you start? Deciding on a 1 or 3 day First Aid at Work Course is one of the key questions you need to address but let’s quickly recap on some of the other issues you might need to solve first. Are we high risk or low risk? – as you would expect the higher the risk the more training you should have. How many employees need the training? – if you’re a big company you’ll probably need to train a few individuals. Rather than start to explore these issues further in this blog I recommend you make yourself familiar with this very handy First Aid at Work information sheet provided by The Health and Safety Executive (HSE), the national independent watchdog for work-related health, safety and illness. Hopefully this should answer many of your questions but we’re more than happy to provide a free assessment of your needs too. So back to the principal question, 1 or 3 days? The 1 day course is appropriate for organisations who identify themselves as low risk. It might also be relevant for training a larger number of your secondary First Aiders, let’s call them the back-up team. The 3 day course is aimed at organisations who have identified themselves as higher-risk. 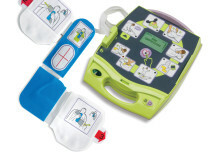 It is also appropriate for individuals who are in charge of First Aid for their organisations. Hopefully that gives you an initial idea of which First Aid at Work course is right for you and your organisation. But please do get in touch now for a free assessment.